Ok. So my hopes and dreams so far appear to be true about Colorado. It is, in fact, not as smoldering hot as DC. But that’s kind of like saying it’s not as hot as the sun in a microwave. I do live in a desert now though, so it can still be pretty hot some days. So when raspberries won last week’s poll, the first thing that came to mind was some sort of refreshing beverage. 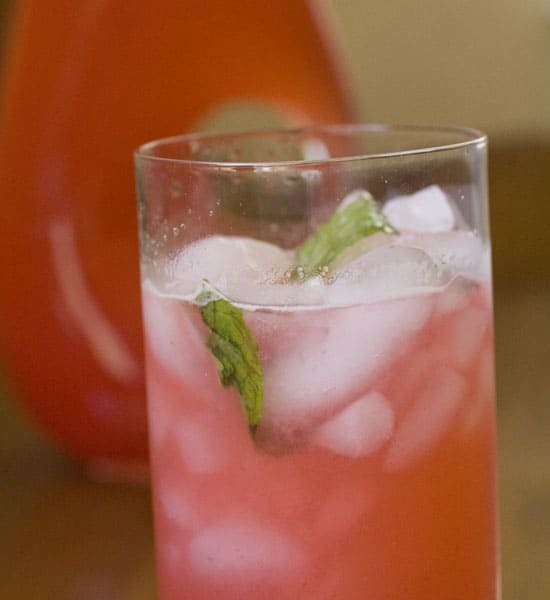 It doesn’t have booze in it (but it could) and will chill you out on a hot summer day. Nothing beats the heat like a big pitcher of lemonade. Fresh raspberries mixed in give it a fantastic fruity flavor. 1) Mix the one cup of warm water with 1 cup of sugar in a small pot over medium heat. Stir until the sugar is dissolved and the liquid is simmering. Remove from heat and let cool. 2) Juice lemons. Mix lemon juice with simple syrup mixture. 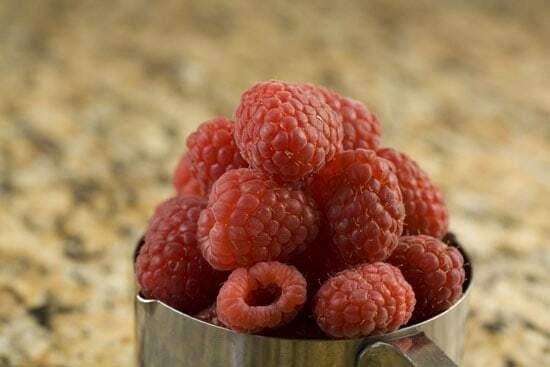 3) Add raspberries to a food processor blender and process until smooth. 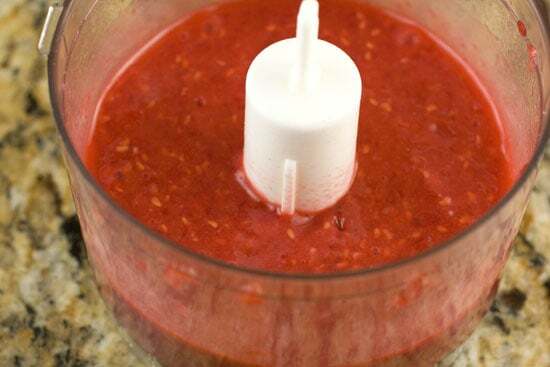 4) Add raspberry pulp to a strainer. Pour lemonade mixture through strainer. It should pick up lots of raspberry color and juice. Repeat a few times. 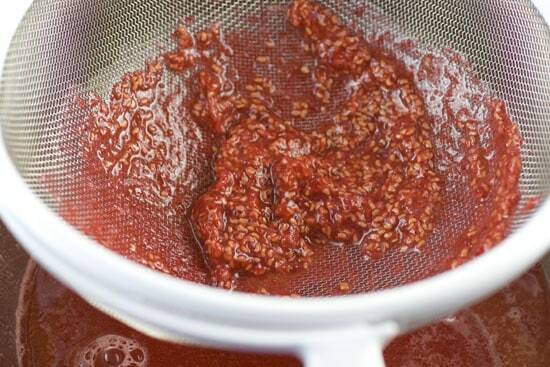 You should be left with mostly seeds in the strainer. 5) Dilute lemonade with 3-4 cups of cold water. 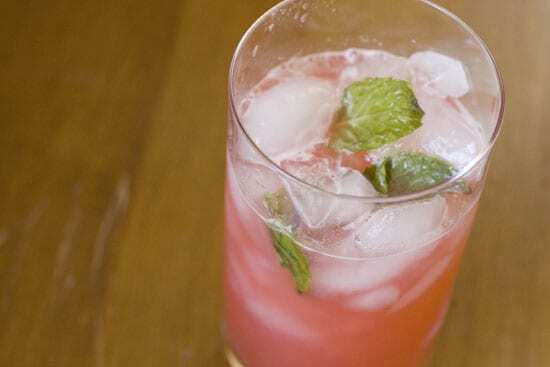 6) Serve with crushed ice and mint. To start this lemonade, add the one cup hot water and one cup sugar to a small pot and heat it until it’s simmering and the sugar is dissolved. Then let it cool. When it comes to lemonade, there’s something to be said for the quickness of a mix. But when you’re in the mood for a seriously refreshing drink, nothing beats fresh-squeezed juice. I have just a normal $10 juicer that gets the job done okay. 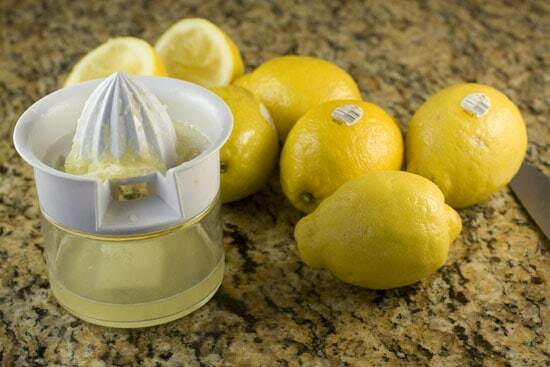 If you don’t have a juicer, you can also just use a fork to press on the inside half of the lemon as you wring it out. That’ll maximize your juice levels. Depending on the size of your lemons, you might need more than six. You’re looking for about a cup of lemon juice. Six really big lemons gave me a bit over a cup which is perfect. Fresh squeezed is always best. As far as the raspberries go, I kind of just guessed that a small container of raspberries would do the trick. That’s six ounces of fresh berries. I love raspberries. It might be my favorite berry. Now obviously you can’t juice a berry, so you have to process or blend them to get the juice out. You could use a food processor, a blender, or I guess a fork if you want to do a lot of work. Just blend it up until it’s smooth! There’s a problem with this mess though: seeds. Raspberries have tons of little seeds in them and they are just not appealing in a drink. It would feel like you had tons of little dirt pebbles in your lemonade. So I think one of the most important steps is to make sure you strain the raspberries. 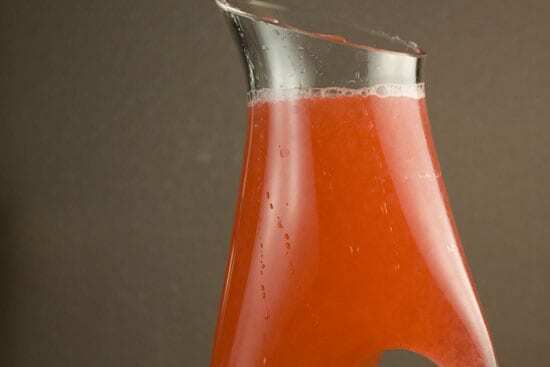 Now, when you pour your raspberry pulp into the strainer, it’ll just kind of sit there. It’s pretty thick. So go ahead and mix your simple syrup and fresh lemon juice together. Then slowly pour this through the strainer also. It’ll pick up the raspberry juice on the way but leave behind the raspberry seeds and any of the lemon pulp that got through also. I poured my juice through my strainer a few times. Just get a fresh bowl to set under the strainer and pour the liquid through again. Every time it’ll pick up a bit more raspberry color and flavor. Also, use a fork to mush the pulp around and force the juice through. After two or three times through, you’ll be left with nothing but seeds basically. So you now have about 4 cups of really intense juice. If you taste it, I think you’ll find that it’s way too strong. I recommend diluting it to about half strength. So add 3-4 cups of cold water to it and stir it up. It’ll keep in the fridge for a few days. Not that it’ll last that long. I poured some of this over crushed ice and threw in a few mint sprigs. The mint sprigs are pretty optional, but I dig them. If you can’t get out of the heat, give this a shot. And if you want to spice it up a bit over the weekend, add 2 shots of vodka or gin to a glass of this for a really solid cocktail. That picture was so pretty, I had to stop what I was doing and read this post! Can't wait to make me some raspberry lemonade! Looks tantalizingly good. I love raspberries too! 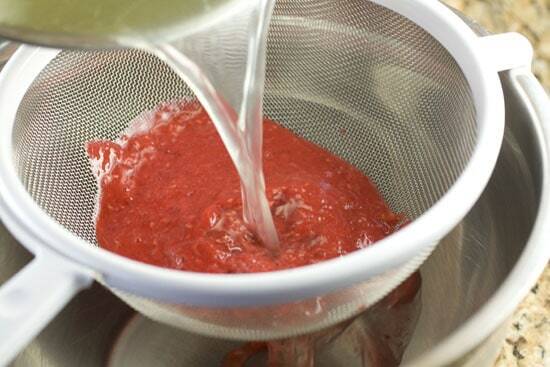 We use the vegetable and fruit strainer attachment for the Kitchen-Aid to juice the berries. It works VERY well! It does let some seeds through. We use this for juicing the berries as well as crushing them for jam. It does let some of the seeds through so you still have to strain it.